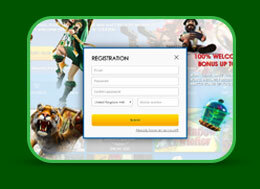 Enter a few details to create your account, make a deposit and receive a welcome bonus. Start playing your chosen game and have fun! 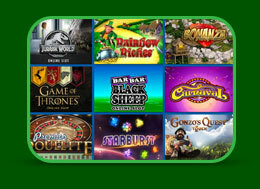 To make a Deposit and to be able to play for real money, you must first register to play at Casino Ireland. After you register and login, you will be able to deposit to play for real money, by following the below instructions. Simply Click on the "Cashier" icon, followed by the "Deposit" option. When you make your first deposit with Casino Ireland, you may be eligible for a bonus of up to 100% of your initial deposit up to £/€/$200 or 2000kr. Please read more about bonuses and look at the latest promotions. 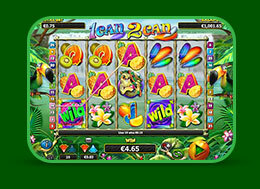 A registered player may, by providing written notice to Casino Ireland, set their own deposit limit per day, week or month. A written notice from a registered player setting a new deposit limit or reducing an existing deposit limit has effect upon its receipt by Casino Ireland, or as soon as is practicable thereafter. A registered player who has set a deposit limit under the foregoing section 1 may, by providing written notice to Casino Ireland, increase or revoke the deposit limit after a minimum waiting period of Seven (7) days from the time of the request, unless the limit is set to zero. Casino Ireland will not accept a deposit from a registered player contrary to a limit set for that player under this Part. Cashing out is easy and can be done by a variety of methods. Click on the "Cashier" icon, followed by the "Withdrawal" option. Cash out requests can only be cancelled while they are still in the 'pending' mode. Read more about cashouts.